Life in Lusternia centers around the Basin of Life, and the Basin of Life centers around six organizations; four cities and two nature communes. Adventurers will find that their source of power depends heavily on these organizations and do their best to support their organization's growth, hoping to one day become the cultural centre of the Basin. 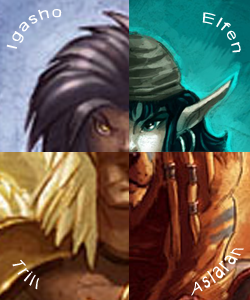 The Basin of Life teems with diversity, resulting in 20 different playable races. Each organization has their preferred race or two whose talents and proclivities match the philosophy and history of the organization in question. In addition, as an adventurer gets stronger, the more perks from their chosen race become available. Despite the diversity and cultural preferences, each race is capable at succeeding in whichever profession they choose to pursue. The organizations and races of Lusternia have organized themselves into 28 different professions known as classes, which fall within 7 different archetypes. Each class allows an adventurer to focus their abilities around three skills that determines not only how they apply their trade, but also how they survive and thrive in the world of Lusternia. 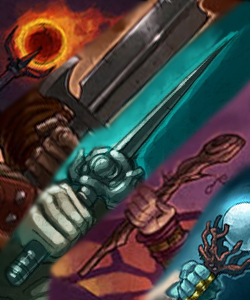 Some classes thrive on magic, while others use their martial abilities to win the day. With so many combinations the outer planes are the limit on what you can achieve. 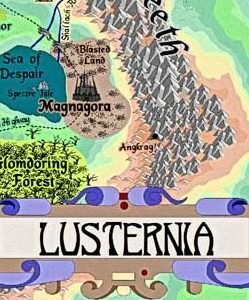 The Basin of Life is not only defined by the adventurers of today but is also informed by the history of Lusternia as a whole. History is recorded as far back as the Cosmogenesis itself when Dynara and Magnora revelled in their individual domains of creation and destruction. From the Elder Wars and the splintering of the Gods into the known races, to the Vernal Wars and the Taint Wars, the history of Lusternia is rich and vibrant where the echoes of the past reverberate to this very day. 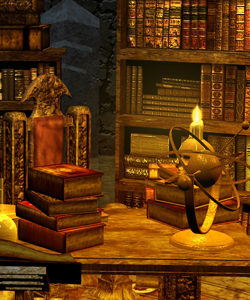 Knowing the history of Lusternia is not enough, adventurers also need to know how to get around the Basin of Life. Player created and official maps help explorers get acquainted with the geography of the Basin and the structure of the planes. While functional and informational, many of the maps are works of art in and of themselves.